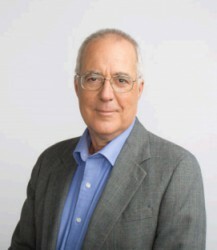 Paul McLerran completed his undergraduate studies at Baylor University and was part of the first graduating class at UTHSC San Antonio, School of Dentistry in 1974. Paul practiced general dentistry in San Antonio from 1974 to1983. During this time, he experienced every phase of being a dentist, as he worked as an associate, owned and sold several offices, employed associate dentists, bought into a practice, practiced in a partnership, and eventually sold his partnership interest when he retired from dentistry due to a physical disability. Paul has personally experienced most phases of being a dentist and practice owner, which allows him to provide a greater level of empathy to dentists in transitional situations. Paul has earned the prestigious commercial real estate designation, CCIM and also earned his Certified Financial Planner designation (CFP) in 1988. Paul established McLerran & Associates in 1987 and has been providing practice appraisal, sales, associate/partnership structuring, and transition consulting services to dentists throughout Texas for over 25 years. Paul lives in San Antonio with his wife Carolyn and has two children. In his free time, Paul enjoys working in his greenhouse, playing golf, and fishing in Port Aransas. Tom is a licensed dentist in Texas and has been involved in dental practice sales and transition consulting for over a decade. 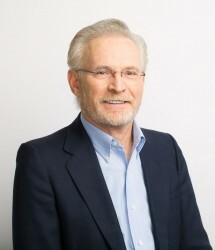 Tom has a unique background, receiving a Bachelor of General Studies degree from the University of Kentucky in 1975 and a DMD degree from the University of Louisville in 1979. Tom practiced general dentistry in Houston and Kentucky from 1980 to 1998. He has been involved in dentistry as a practice owner, practice management consultant, and sales representative for digital radiography equipment. Tom’s unique background and understanding of the issues that doctors face in private practice make him a valuable resource for our clients. 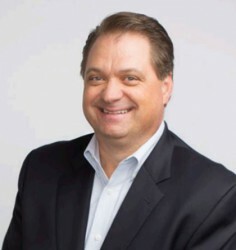 Patrick has over 18 years of professional practice management and transition consulting experience in the Houston market, focusing on dental group practice management, practice transition consulting and IT selection and implementation. He has completed graduate studies in Health Care Administration at TWU Houston Medical Center as well as Hospitality Business Management at The University of Houston (Conrad Hilton College). His understanding of the financial realities facing dental professionals in private practice and his market knowledge will help dentists to achieve their goals both now and in the future. Brannon Moncrief grew up in the Houston area and graduated from Texas A&M University in 2002 with a BBA in Finance. Prior to joining McLerran & Associates, Brannon served as the Director of Dental Lending for a nationwide dental lender for 8 years, where he gained an in depth knowledge of the business of dentistry and was involved with hundreds of dental practice transitions. Brannon’s unique combination of analytical and sales skills in addition to his extensive experience in practice transitions allows him to serve as a valuable advisor and resource to our clients. Brannon currently lives in Austin with his wife and daughter. In his free time, Brannon enjoys cooking, going to concerts, trying new restaurants, traveling, playing golf, and spending time with friends and family. Ryan Moncrief was born and raised in the Houston area and obtained his BBA in Marketing from Texas State University. Ryan led a successful career in finance/marketing prior to entering the dental industry as a Territory Manager with Patterson Dental. 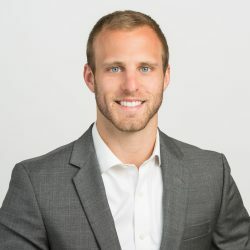 After spending several years immersed in both the clinical and business sides of dentistry, Ryan left Patterson to become a partner in McLerran & Associates. 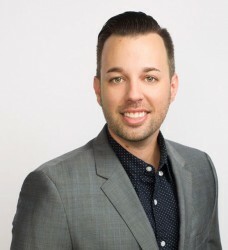 With a passion for helping others and perspective gained through working alongside dentists, their teams, and other industry partners, Ryan is dedicated to providing our clients with customized solutions to reach their goals. Ryan, his wife Amy, and their daughter Quinn reside in Austin, TX and enjoy spending time doing anything outdoors, cooking, traveling, and exploring Austin’s food and music scene. Kevin earned his BS in Accounting and Economics from The Ohio State University and completed his CPA certification shortly thereafter. 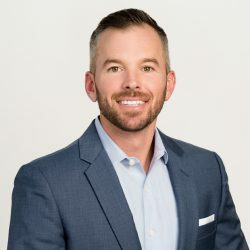 Prior to joining McLerran & Associates, Kevin served as an underwriter for the nation’s largest dental lender and co-founded the nationwide dental practice valuation firm Dentappraisal. Kevin’s accounting and dental lending background provide him with a unique perspective and the experience and knowledge necessary to complete accurate and detailed valuations for our clients. Kristyn Wilkerson grew up in North Houston and graduated from Texas A&M University in 2009 with a BS in Leadership Studies and minors in Business and Communications. 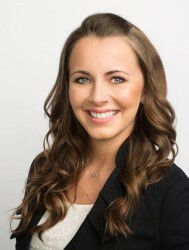 Kristyn worked as a Closing Coordinator for a nationwide dental lender for three years prior to joining McLerran & Associates’ Austin/San Antonio office in September 2013. Kristyn currently lives in Austin with her husband, son, and their Puggle named Zelle. In her spare time, she enjoys traveling, trying new restaurants, and spending time with family and friends.